A short documentary about the work of Pacific Media Centre students and staff by Alistar Kata … made to mark WJEC at AUT University next month. Asia and Pacific non-profit agencies are funding nine journalists, professors and media educators from the region to be speakers at the Fourth World Journalism Education Congress (WJEC) being hosted in New Zealand for the first time. Some of the sponsored visitors represent the Asia Media Information and Communication Centre (AMIC), which last year moved its base from Singapore to Manila and the fledgling Media Educators Pacific (MeP), who are working in partnership with the Pacific Media Centre at Auckland University of Technology. The Asia New Zealand Foundation is sponsoring the doyen of Asian mass communication and media education communicators, Professor Crispin Maslog, a founder and now currently chairman of AMIC, and Dr Hermin Indah Wahyuni, of Yogyakarta’s Gadja Mada University in Indonesia. 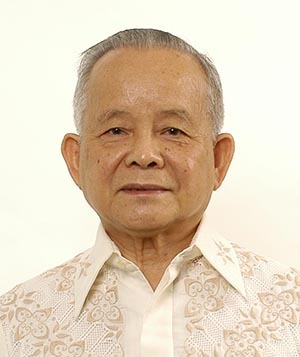 Professor Crispin Maslog of the Philippines … prolific communications and media author. Professor Maslog is a prolific author of media and communication books and writes a popular column on digital communication, environmental issues and science on the global development blog SciDev.net. 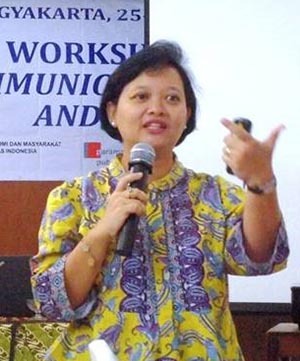 Dr Wahyuni, who is also the Indonesian country representative of AMIC, is a former faculty dean at her university and is a communications consultant for Yogyakarta’s regional parliament. She has researched indigenous and environmental issues. Both Professor Maslog and Dr Wahyuni will be key speakers in a panel on the challenges of climate change and journalism education at WJEC. Asia New Zealand Foundation media adviser Rebecca Palmer says the foundation is supporting Professor Maslog and Dr Wahyuni as part of its media programme. “The foundation’s media programme has been running for more than two decades and works to increase coverage of Asian current affairs in the New Zealand media, and to build networks between journalists and journalism educators in New Zealand. In addition, Jose Maria Carlos, a former secretary-general of AMIC, investigative journalist and currently a desk editor with CNN Philippines and media consultant, is also being assisted to attend WJEC. Being sponsored by the Pacific Media Centre, he will speak on the climate change panel. Dr Hermin Indah Wahyuni of Indonesia. The recently established New Zealand Institute of Pacific Research (NZIPR), a consortium of the University of Auckland, Auckland University of Technology and Otago University in partnership with the NZ government, is assisting AUT and the PMC in bringing five journalists and educators from the Pacific to Auckland. Maria Sagrista of Divine Word University, Madang, and Emily Matasororo of the University of Papua New Guinea; Eddie Osifelo, a journalist with the Solomon Star; Dave Mandavah, coordinator of the Vanuatu Institute of Technology journalism school; and Eliki Drugunalevu, broadcaster and assistant lecturer from the University of the South Pacific in Fiji will be presenting a range of papers of journalism and media education issues at a Pacific Preconference day on July 13. Foundation institute director, Associate Professor Damon Salesa of the University of Auckland’s Pacific Studies Centre, says: “Journalism has an essential role to play in promoting good government, fairness, wellbeing and prosperity in the Pacific. 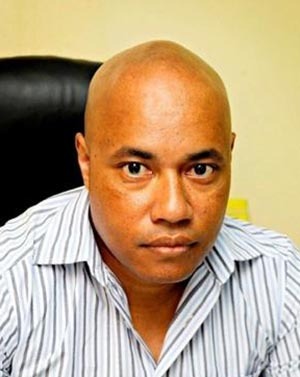 The New Zealand chapter of Transparency International will be presenting a “Reporting Corruption in the Pacific” panel with facilitator Fuimaono Tuiasau and speakers including Alexander Rheeney, editor-in-chief of the PNG Post-Courier daily newspaper. “A major challenge for island nations is how to address corruption, lack of accountability and transparency and the mismanagement of public and private resources,” says Fuimaono. “When governments fail, the role of media outlets and journalists is crucial to provide accurate and incisive reporting in order to hold officials and the private sectors to account. 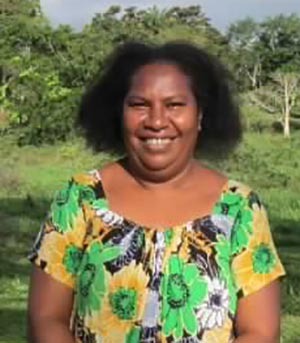 Emily Matasororo of the University of Papua New Guinea. “Who is reporting on these issues, how is it being done, what are the major challenges for media and journalists in this area, what are the safeguards that protect these processes, informants and journalist?The panel discussion will present real life examples of how the media can fight against corruption and to make power and money accountable. It will also examine what needs to be done to support critical and investigative journalism. Others in the line-up are expected to include NZ political commentator Dr Bryce Edwards, Tongan broadcaster and publisher Kalafi Moala, who is also a keynote speaker at the WJEC, and University of the South Pacific head of journalism Dr Shailendra Singh. Pacific programme coordinator Professor David Robie of the PMC said: “This is an exciting range of innovative Pacific journalists, educators and commentators taking part in the prelude to WJEC. Dr Robie cited many other Pacific researchers and speakers involved, such as Unitec’s PNG-born Dr Philip Cass, Dr Lee Duffield from the Queensland University of Technology, Pacific environmental researcher Nicole Gooch and the chair of PMC, A/Professor Camille Nakhid. On a welcome evening at the start of the preconference, Oceania Interrupted will stage a challenging “Empowering Collective Action” cultural communication event. Alex Rheeney … editor-in-chief of the Post-Courier. The Preconference blends into the main WJEC conference on July 14-16 at the same venue and about 200 people are expected to attend.Previous WJEC conferences have been in Belgium, Singapore and South Africa.